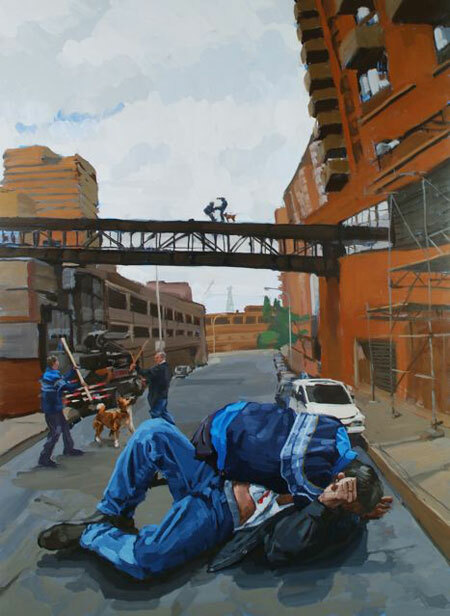 There is a strange and unsettling energy present in Mathew Reichertz paintings, and I don’t just mean the fight scenes. Though, I do love the use of repeated figures in that particular series, as Reichertz turns simple brawls into all-out rumbles. Amazing work! It looks like J Matt Miller is planning to move from his blog to a personal website, but in the meantime, there is a great wealth of past work to be seen on his “Daily Life Painting” blog. His ability to infuse personality into inanimate objects with a few bold brush strokes is quite impressive. 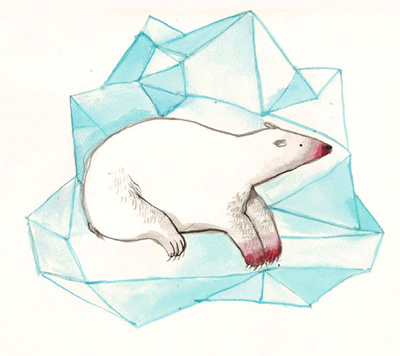 I am a big fan of Diana Sudyka’s wildlife watercolours. Of course, she also has some fantastic etchings to see, and great illustration work as well. Let’s just say there is no shortage of treats for your eyes over on her site. Jenny Dubnau’s portraits are stunning. 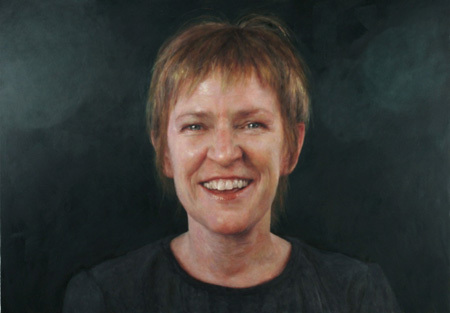 There is a sculptural quality to her paint, and an honesty to her work that is incredible to see. So go see! 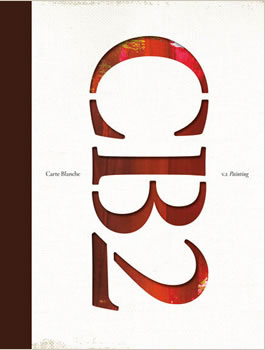 I can’t wait to get my hands on this new book; Carte Blanche, Vol. 2: Painting. It follows Magenta Foundations’ publication of Carte Blanche Vol. 1: Photography and contains the works of almost 200 living canadian painters, and the list looks pretty good. To kick off the publication, MOCCA currently has an exhibition up that showcases paintings from 30 of the participating artists. The show will be up until December 28, 2008, so I recommend checking it out if you’re in the Toronto area. 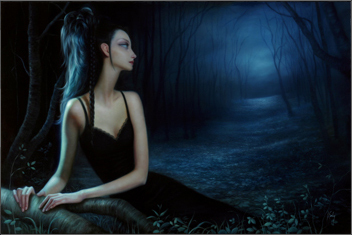 Lori Earley is an incredibly talented artist, whose long-necked subjects embody an amazing sense of mood and atmosphere. Nice work! 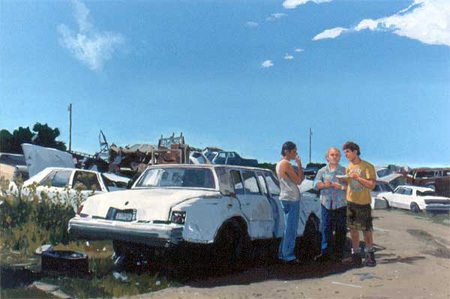 John Hull is a narrative painter, and his paintings are at their best when viewed as a series, so I recommend you go to his site now and take in some amazing visual storytelling. 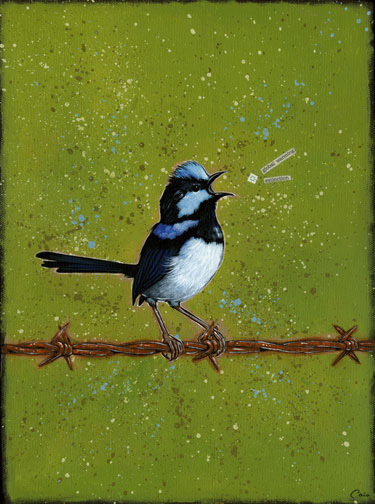 Caia Koopman’s avian paintings are incredibly beautiful works that draw attention to environmental issues. It’s not an easy task to create art that works both politically and artistically, so I guess I’m doubly impressed. 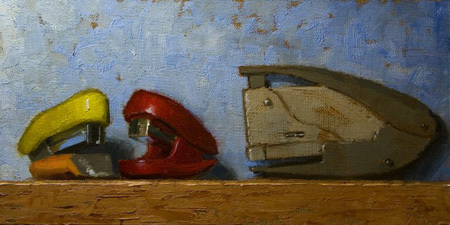 As much as I love the expansive landscape paintings of Francis Gregory Di Fronzo, he has something else on his site that has me just as impressed; his “stories” section. It seems rare that an artist will expose his techniques and talk about the basis for his work in such a frank and open manner. Great stuff. Winter is coming, which means it’s time to warm up with some art. 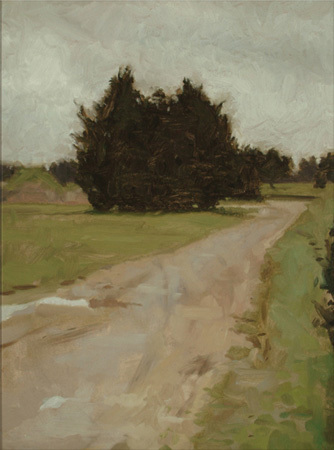 May I suggest something in a sunny David Larned landscape?